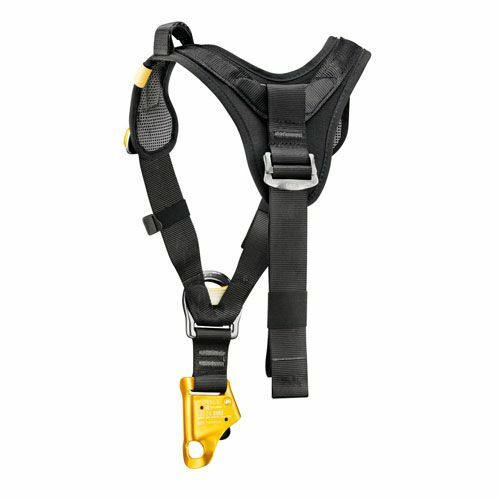 The TOP CROLL L is a chest harness that features an integrated CROLL L ventral rope clamp. 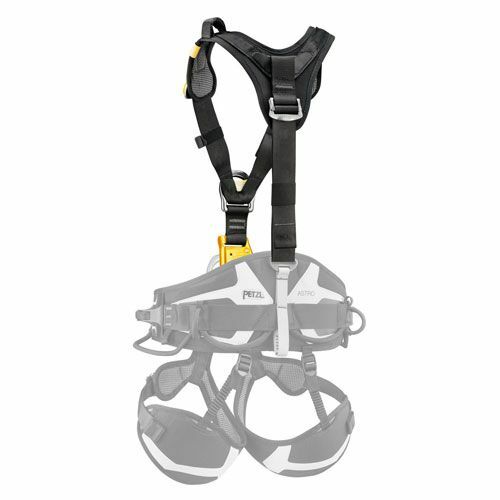 It's designed to work seamlessly with your ASTRO SIT FAST, AVAO SIT, AVAO SIT FAST, FALCON, FALCON ASCENT and SEQUOIA SRT seat harnesses, turning them into rope access harnesses. 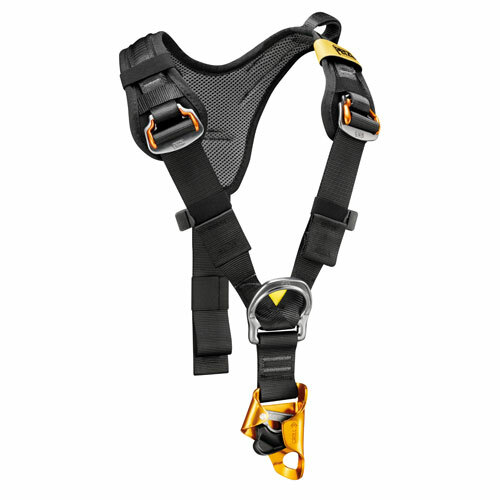 The foam shoulder straps are widely spaced to reduce neck chafing. When the waistbelt is loaded, they help distribute the load over the shoulders.